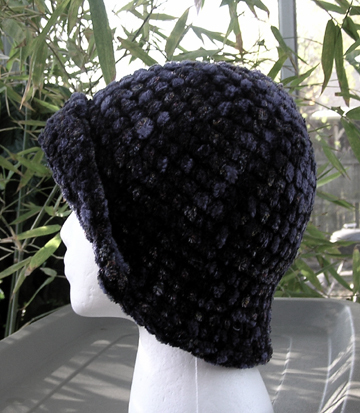 The Chenille Flapper is crocheted with a soft and warm chenille yarn in heathered shades of deep blues with hints of red and gold. 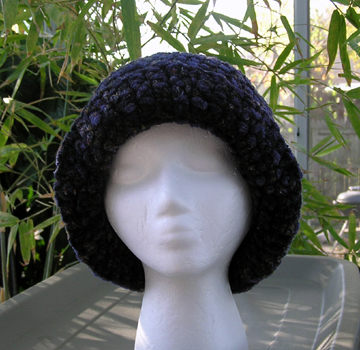 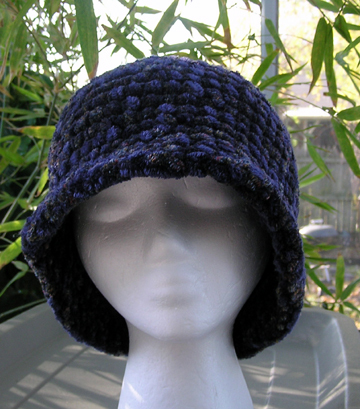 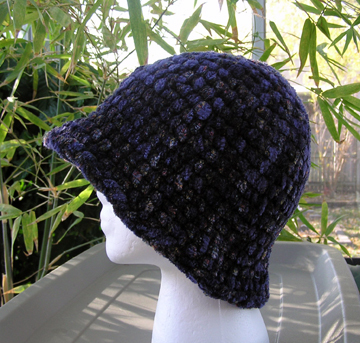 91% acrylic and 9% rayon.
. A very soft hat with lots of possibilities. 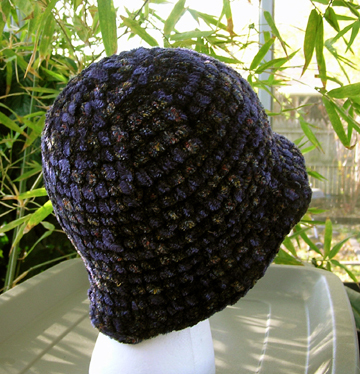 The brim can be turned up in front or on the side for a change of look.